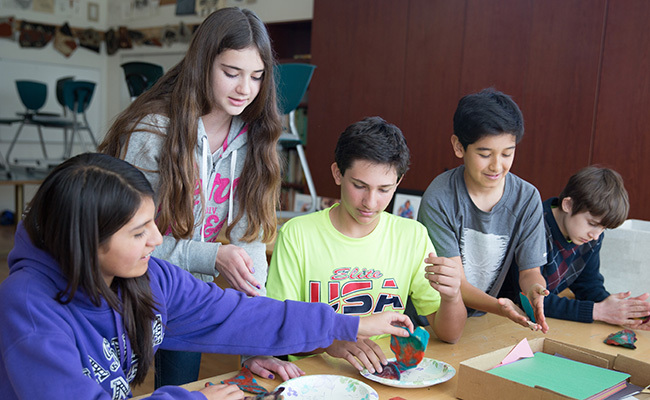 Mountain View Montessori’s adolescent program is called the Adolescent Community. This program is uniquely designed to meet the needs of the 7th and 8th year students who are entering the third plane of development. Studies show young adolescents need a tremendous amount of physical activity, meaningful physical work, increased autonomy, and an environment suited to develop a personal vision. 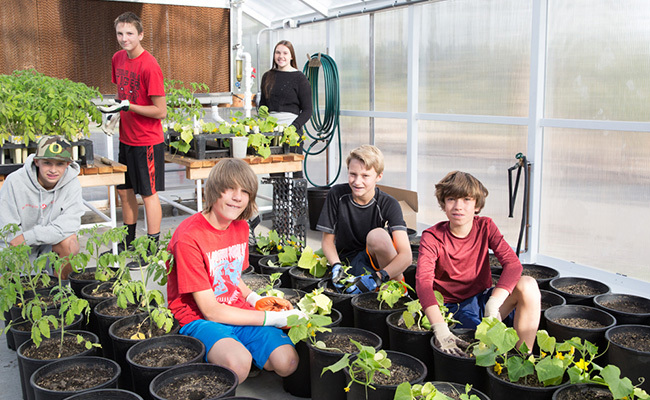 MVM provides surroundings that support the student’s development of a positive and durable self-esteem, involvement with social issues and a stimulating and rigorous curriculum. Our Adolescent program is humanities based with academic focus on course work in Math, Science, English, Spanish and more. Developmental, social and physical needs are satisfied with a wide range of activities such as hiking, gardening, drama, art, music theory and community service. All of these elements, along with daily interaction, develops an environment of mutual support and trusting relationships. The Adolescent program offers a two year curriculum. The school day is 8:00 a.m. - 3:00 p.m., Monday through Friday. Students usually enter the Adolescent Community at age 11 or 12 after completion of the MVM Elementary program. Children without a Montessori elementary class experience are considered for enrollment depending on individual circumstances.